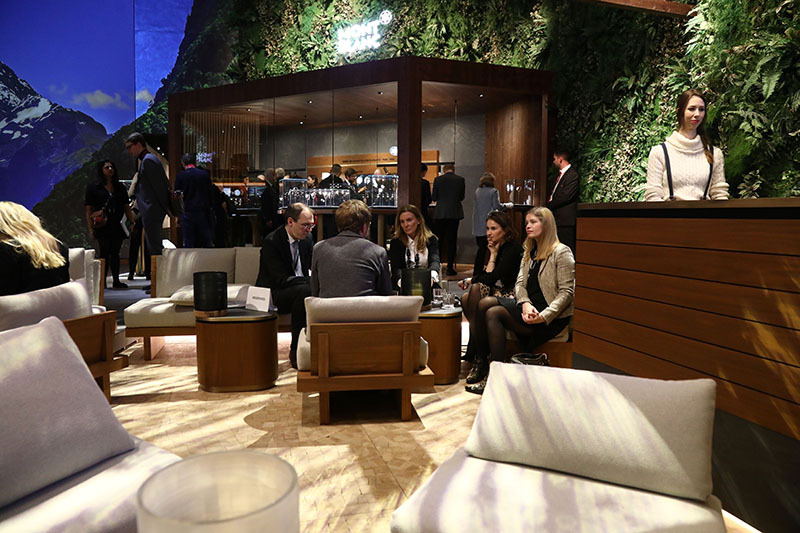 Well, to be specific, the booth was placed within the cozy halls of the annual Geneva watch spectacle, sparing guests from the bitter cold outside. 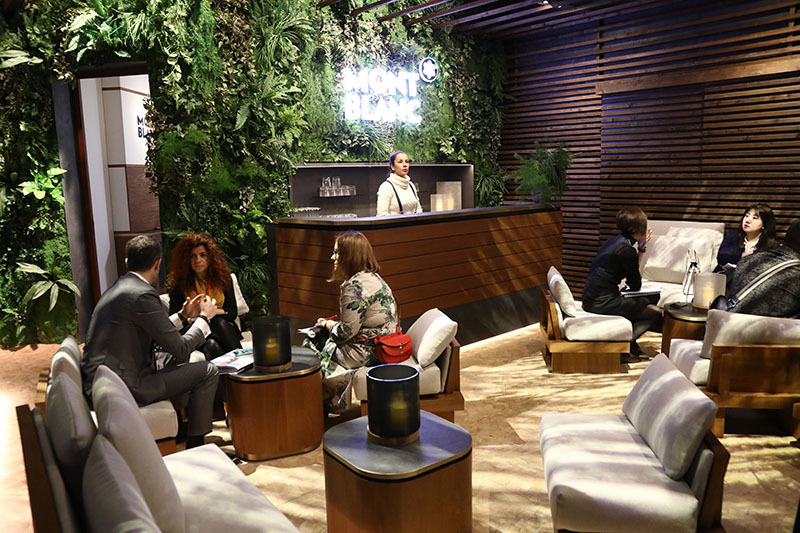 But Montblanc chose to bring the great outdoors indoors by lining its booth with natural wood, lush foliage and images of mountain vistas. 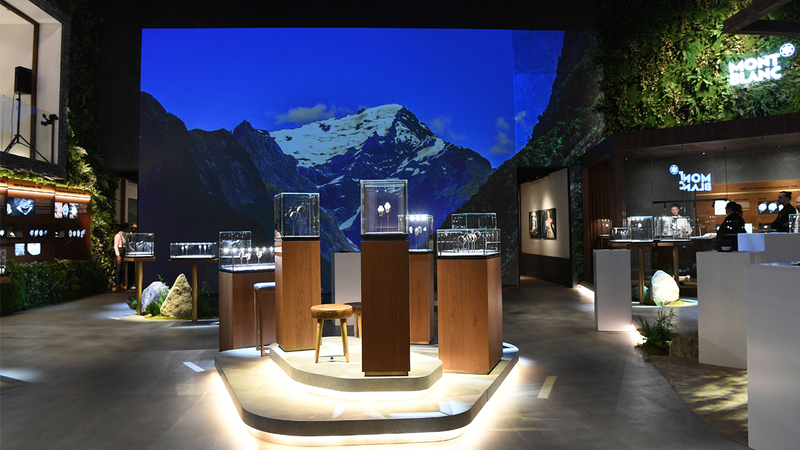 The reason behind this, of course, was that the maison was stressing the affinity of its 1858 Collection with mountain exploration, as well as its ties to the 161-year history of movement- and watchmaker Minerva. Montblanc and Minerva have been operating a haute horlogerie institute since 2007, following Richemont’s (under which group Montblanc belongs) acquisition of Fabrique d’Horlogerie Minerva SA. 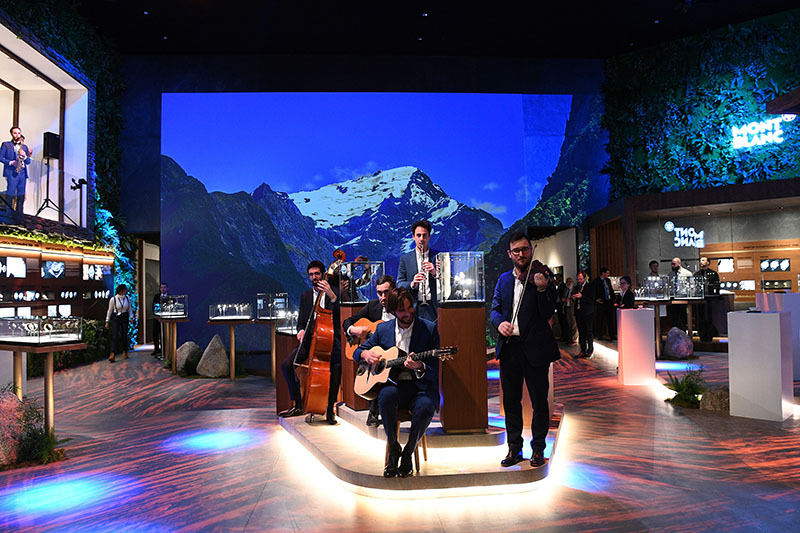 At SIHH the new renditions of the 1858 Collection, pieces deeply inspired by Minerva watches which professional explorers and some military units used in the 1920s and 1930s, blended into the landscape. This was especially true in the case of the new 1858 Geosphere, which now comes in a bronze-and-khaki green wardrobe. But models from Montblanc’s Heritage and TimeWalker lines, as well as the new limited-edition Star Legacy Metamorphosis, all seemed apt amid the setting, too. The Star Legacy Metamorphosis, debuted at the show by Montblanc CEO Nicolas Baretzki, took three years to develop because it is kitted with a number of complications. Further bolstering Montblanc’s link to the mountain is the support it has shown toward the CREA Mont-Blanc, or the Research Center For Alpine Ecosystems, a Chamonix, France-based organization which, since 2006, has been preaching its brand of high-quality ecological research. 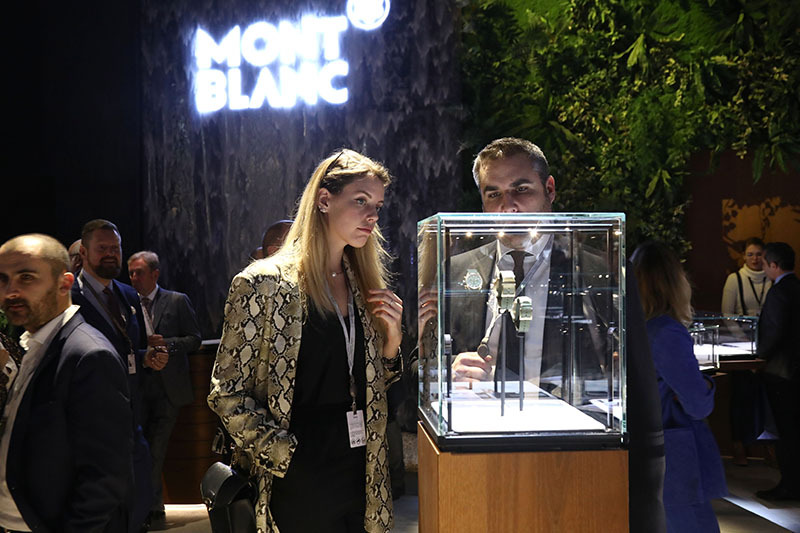 So at this year’s SIHH, Montblanc eschewed the traditional practice of giving gifts to guests, instead opting to donate funds to the research center. The donations will contribute to the organization’s mission to gather information regarding how alpine ecosystems function and respond to climate change. No doubt, it’s an excellent way to embrace the outdoors.